How interesting. I haven't heard of this. You're right...it does sound rather young-ish. Do you think it has appeal to older readers as well or would they tire of the voice? Lately, some of the tween books I've read feel like I'm being talked down to. That's not exactly the right phrase...but I feel like it's written for little kids. 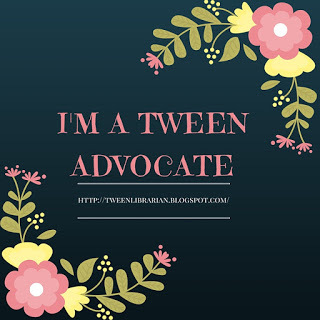 I like reading MG books that have a more universal voice - appeals to adults and kids. This one looks like it would be a good addition to my library because I always have girls looking for mysteries. I might have to give it a try! Thanks for the review. 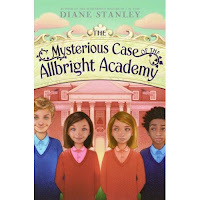 I love mysteries and have always been a bit obsessed with boarding schools. This looks great, even if it reads on the young side! Sounds like a good book. I love mysteries! I did think the voice seemed more like an adult trying to talk like a kid. The character is in 8th grade, but I really think the book skews younger than that-I don't really see many middle schoolers picking it up-I would say around 3-5th grade with some 6th grade appeal. It's a good mystery, just not anything to really think about and solved pretty quickly. This looks interesting, but more like the sort of book I'd borrow from the library instead of actually buying. But I'm not a big mystery person I guess.